Premium, high quality tubes that are environmentally friendly, available in a recyclable plastic rack, and allows for increased traceability with the largest writing area on the market. 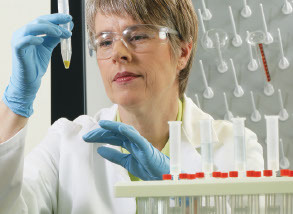 Thermo Scientific™ Nunc™ centrifuge tubes are made from high purity resins, and molded using our state-of-the-art processes. The LabServ 15 mL and 50 mL centrifuge tubes are manufactured in high-clarity polypropylene, with easy to read black graduations with a large white printed writing area. RNase/DNase free options available. Perform adherent cell cultures in biotechnology, pharmaceutical and research laboratories, as well as in the production of vaccines and diagnostic kits with Thermo Scientific™ Nunc™ cell culture tubes. The TPP centrifuge tubes are manufactured using the highest grade of raw material fulfilling requirements of USP Class VI and Class 1 medical devices. These tubes have a white writing circle on the screw cap for easy labeling, caps are gas and aerosol tight with graduations to 0.1 mL/0.5 mL. Convenient racks available which are autoclavable and collapsible for storage. Optimise growth parameters of the parameters for the production up-scaling by maximising the number of parallel experiments run at the same time.